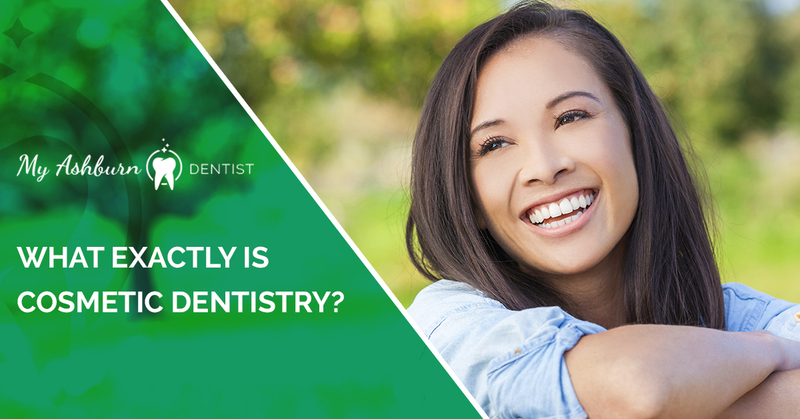 Cosmetic Dentist Ashburn: What Exactly Is Cosmetic Dentistry? Unless you work in the dental industry, you may not know the difference between general dental services and cosmetic dentistry. General dentistry is a term used to describe common dental procedures, such as fillings, root canals, and cleanings. Cosmetic dentistry is a unique term that is used for dental treatments that can improve the appearance of your teeth and smile (not necessarily the health of your teeth). 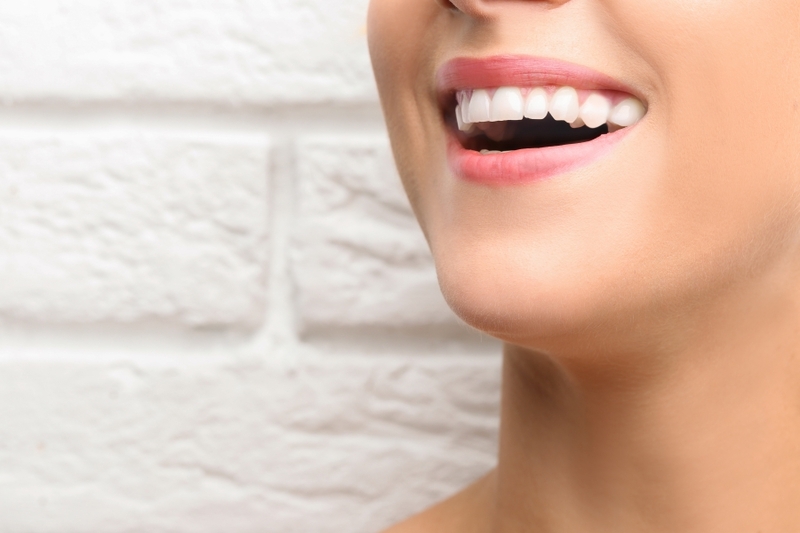 There are several different types of cosmetic dentistry procedures that may be right for you. Let’s take a look at some popular cosmetic treatments below. If you want to achieve a movie star smile, dental veneers may be a great option for you. Veneers are ultra-thin porcelain or ceramic shells that can be adhered to your natural teeth for a picture-perfect smile. One wonderful thing about veneers is that they do not stain, which means you can drink all the coffee and red wine you like. If you suffer from crooked teeth, cracked teeth, or damaged enamel, you may want to discuss veneers with your cosmetic dentist. Composite bonding is another popular cosmetic dentistry treatment. It is used to repair decayed, discolored, or damaged teeth using a material that will match the natural color of your teeth. To start, your dentist will drill out the problem area and apply the composite onto your tooth’s surface. He or she will then carefully sculpt the material into a natural tooth shape before curing it with a high-intensity light. If you suffer from tooth decay or chipped teeth, composite bonding may be a great solution for you. At My Ashburn Dentist, one of our most popular cosmetic dentistry treatments is teeth whitening. Everybody wants to feel confident in their smile, and tooth whitening is a great way to enhance your smile and boost your self confidence. When you visit our dental facility for a teeth whitening appointment, we’ll take the time to clear any plaque and tartar from the surface of your teeth before applying a whitening treatment. If you suffer from missing teeth, dental implants may be a wise dental treatment for you. For this procedure, your dentist will insert a small titanium screw into your jaw where your missing tooth is. This will serve as support for the crown. Dental implants are specially designed to look and feel like natural teeth, and they are built to last, so you don’t have to worry about them falling out. If you feel that you would be a good candidate for dental veneers, composite bonding, teeth whitening, or another cosmetic dental treatment, contact the dental specialists at My Ashburn Dentist today. Our team has perfected an array of cosmetic dentistry procedures, and we’ll do everything we can to ensure you feel happy and confident in your smile. We also specialize in oral surgery, gum disease, and emergency dentistry. Be sure to visit our promotions page to see what deals we have going on as well. We look forward to seeing you!